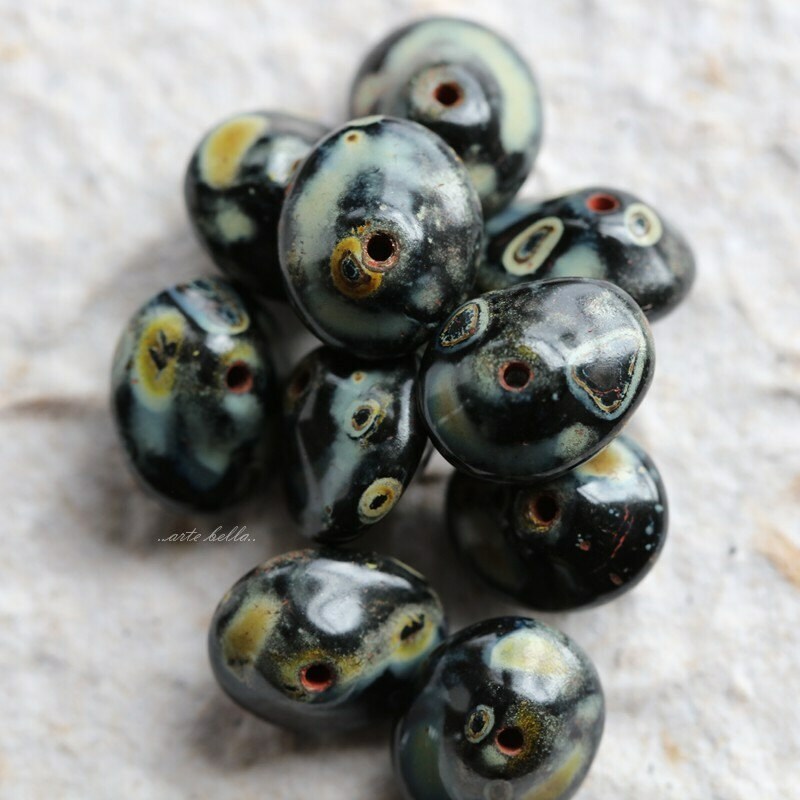 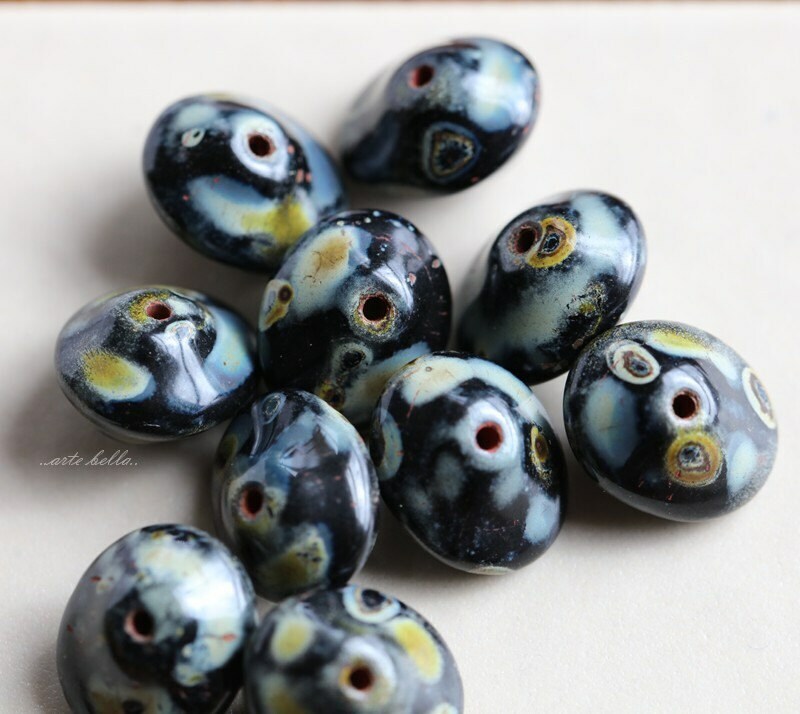 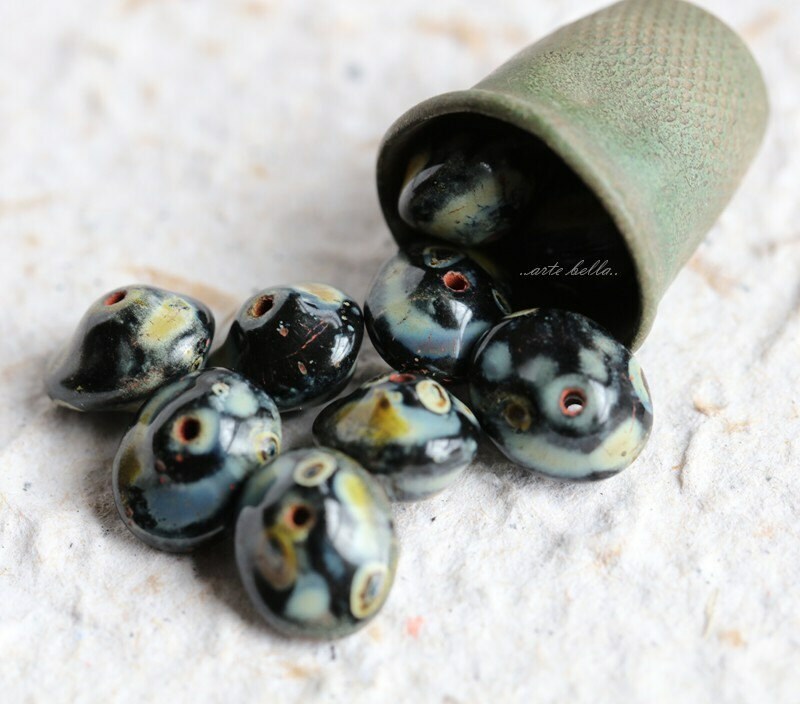 Cute wonky oval UFO beads in a black base glass with an earthy Picasso finish. 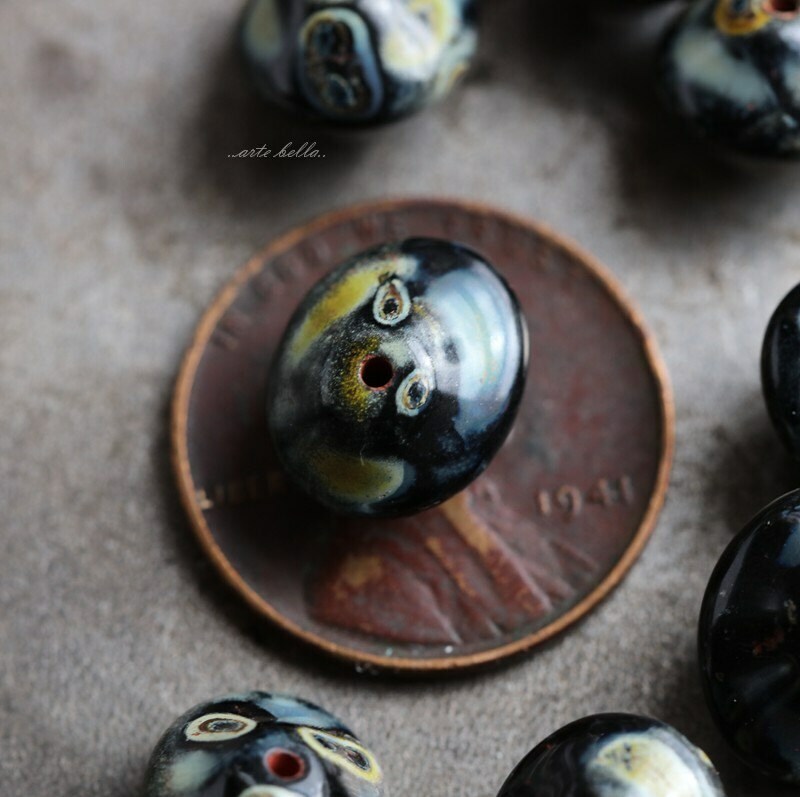 I always like to beads that remind me of the vintage Picassos; the color/surface of these exemplifies that. 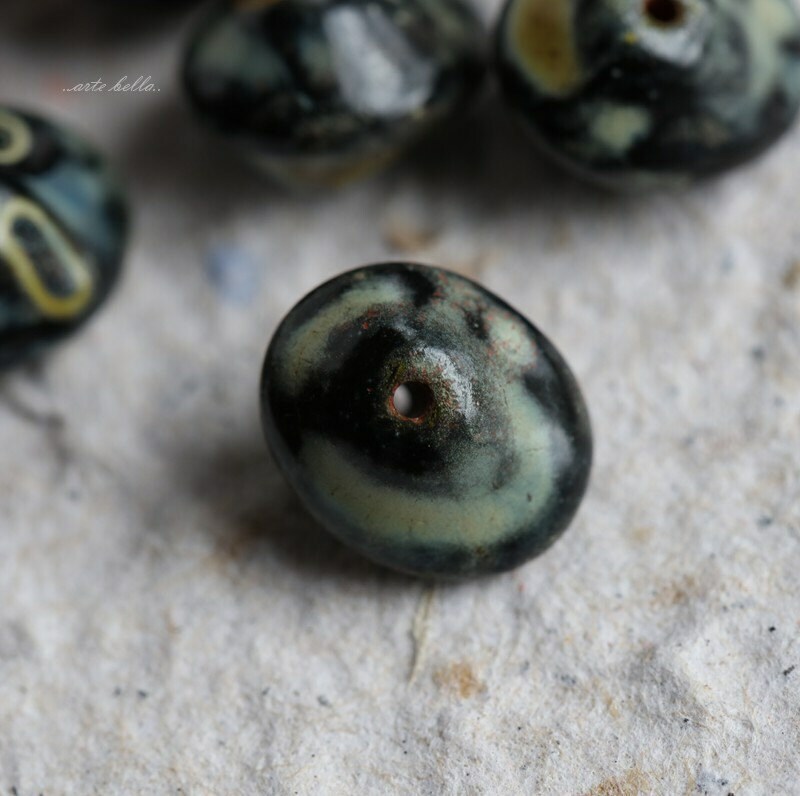 Off-center shape is interesting; will see how it fares in earrings.